The Rehab singer, who fought a lengthy battle with drink and drugs, left gross assets totalling £4,257,580 when she died last July. But after debts and tax were paid, it left £2,944,554. Amy died from alcohol poisoning at her flat in Camden, north London, with an inquest recording a verdict of misadventure. 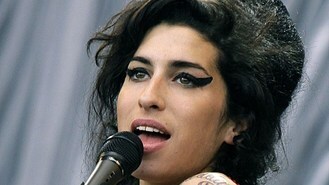 The 27-year-old singer, who had two hit albums during her lifetime, had not made a will and the money goes to her family. Her father Mitch is the administrator of her estate, according to newly-released probate documents. Amy's former husband Blake Fielder-Civil does not receive any of the estate.